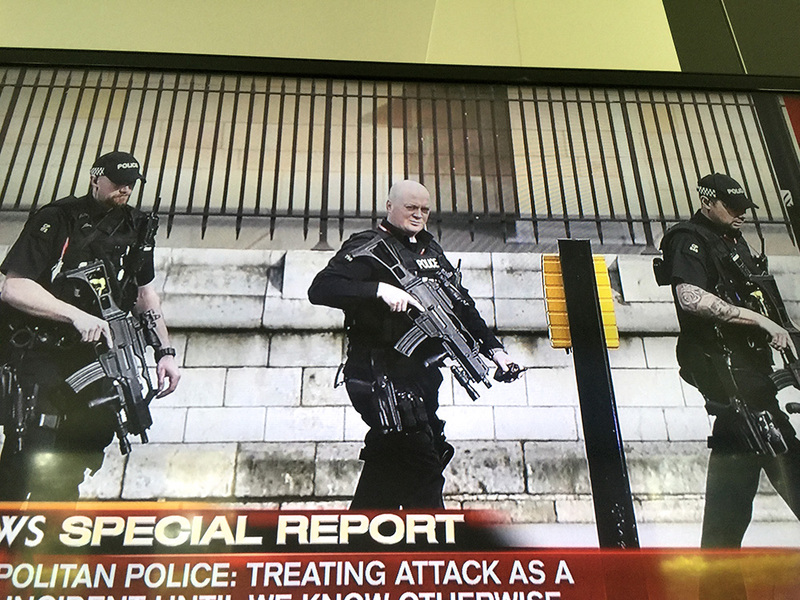 In Perspective, Planet: Terror Brushes over London Again! Sadly we have a tragic attack in the heart of London's most precious areas, far too close to the 40 members of parliament in the Houses at the time. 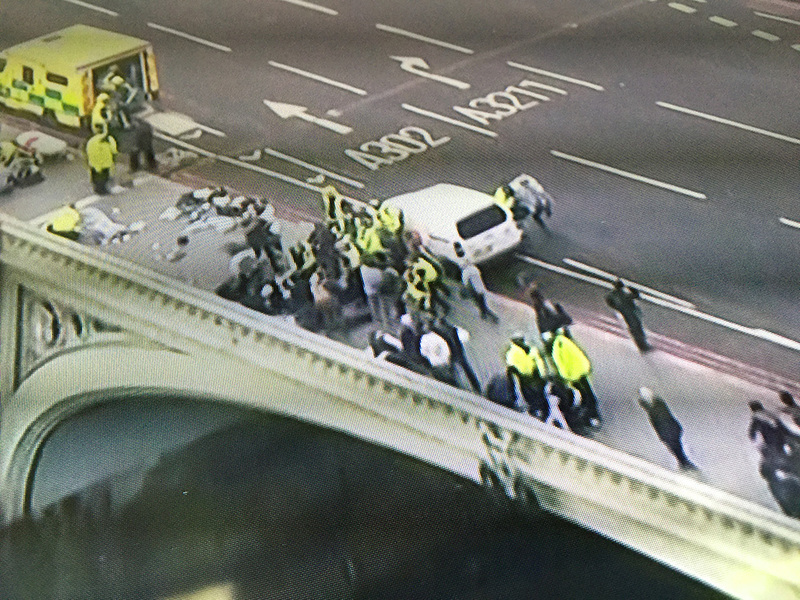 A truck plowed into pedestrians, one wounded woman rescued from the River Thames, below westminster Bridge, where the violence happened. We do not yet know if the latter incident is related to the attach or not. One person killed and a policeman stabbed. The apparent culprit was shot and is in hospital it seems. 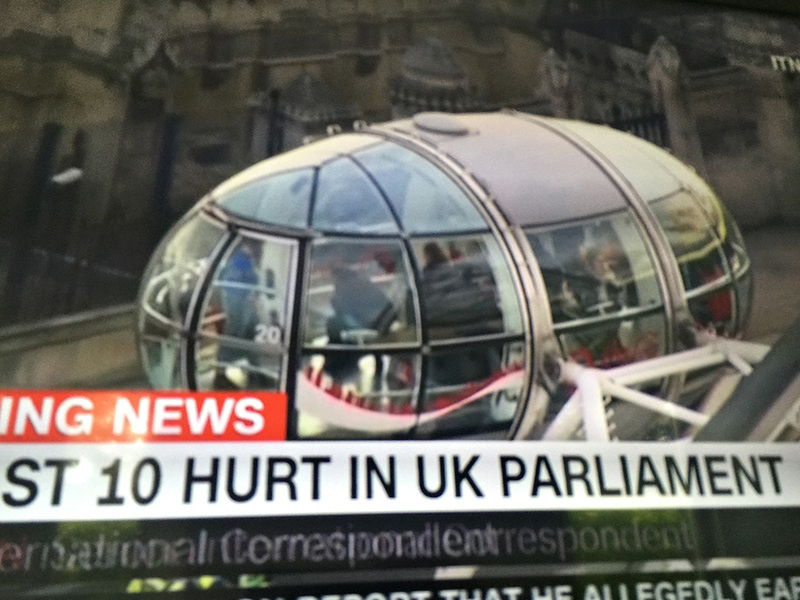 Tourists in the famous London ferris wheel are stranded in their gondolas in the ensuing lockdown, 3 hours later! The Prime Minister has been whisked away to a secure location. The members of parliament are being led out, ten at a time but have to be questioned by metropolitan police for any clues. We wish all those affected a speedy recovery. Not a truck, but some sort of car. The police officer and 2 other innocents have been lost and also the alleged attacker. It appears that among the victims are French students. A single guy in a car runs over bystanders. 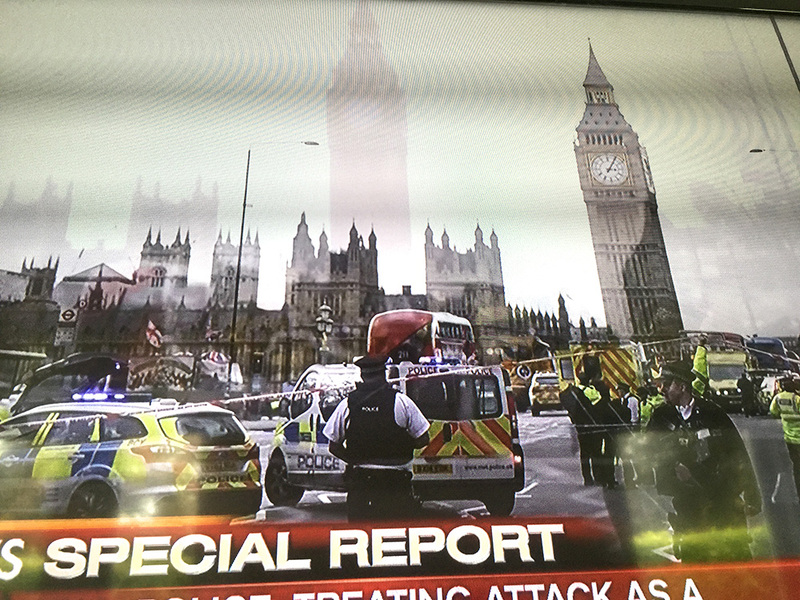 2 dead, 20 injured, some seriously. Then he gets out of his car and stabs a policeman to death and gets shot. Had it been in some suburban shopping mall, then we think less as related to political motives. But in this location, that does come to the forefront. Of course, the alleged assailant could have been mentally ill, on drugs or have a brain tumor. If it's political then it is far worse as each new case is a measure of continued animus, although the horror, our revulsion, the suffering and our helplessness is the same.